Over the next few years, I will be releasing non-fiction books. I love the way, as a writer, I can be more direct with my stories in the non-fiction format. It’s giving me a way to share more fully about my life, not hidden in “fiction”, and a way to use some of the pains and challenges I have been through to help other people. What do dates with God look like? How can I fall in love with Jesus? Take a bold step of faith. Become intentional about how you interact with God. Accept the divine invitation. Pursue the One who pursues you with a love beyond compare. Explore new depths of spiritual intimacy in your supernatural relationship through these 25 dates with God. From Cheryl’s Journal: Why am I like this? What is wrong with me? Why am I so afraid? I can’t control my anxiety; these fears seem to overtake me. Does anyone know how I feel? No one else has this problem. I am a freak, and I am alone. Where is God in this? Do fear and anxiety rule your life? They used to rule mine. Anxiety kept me from dating and almost prevented me from going after the one dream I wanted most in life: to find true love. This is the book I was too afraid to write and definitely too afraid to publish. That would mean others could read some of my most private thoughts, pieces of my most difficult and painful journey. Most of my life, I put on a good face, that “life is perfect” façade. It was a sham. Then I realized I had to face my problems, my past, and my fears if I ever wanted to live a normal, healthy life and be able to find true love and get married. In writing this book, I decided to join the imperfect human race. I wrote it because I needed to heal. Maybe you need to heal, too. 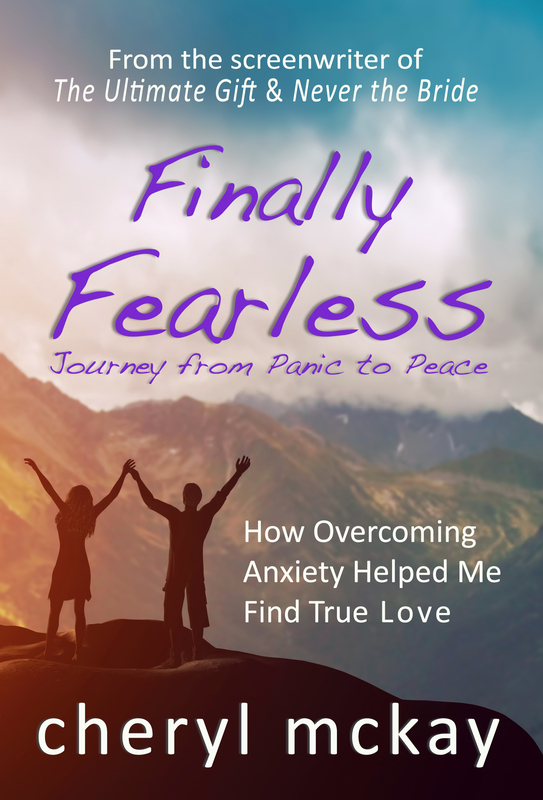 Through writing about my story of panic, fear, and seemingly irrational anxieties, I uncovered so much about panic and anxiety disorders, coping techniques, causes of anxiety and fear, soul-searching activities to help unearth the root of anxiety problems, and methods that can bring about healing. 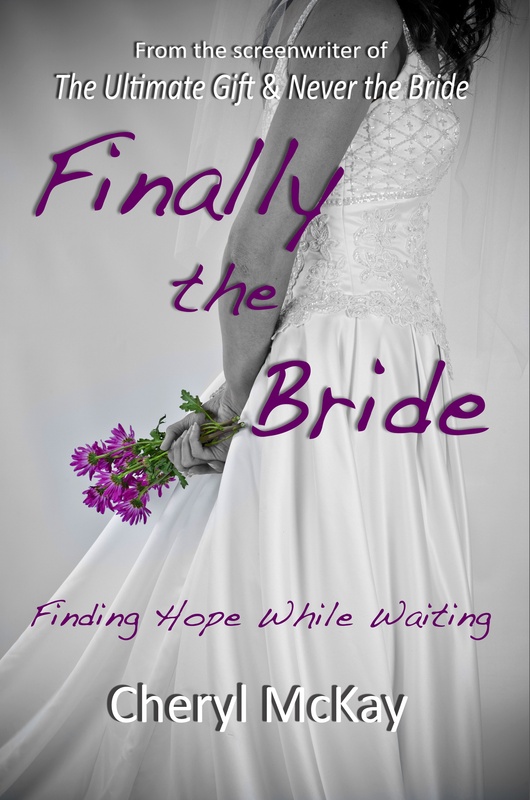 After many years of stagnancy, I found hope. God walked me through every step to help me find ways to grow, heal, change, and climb out from under the relentless thumb of anxiety. I can honestly say I am now healed. Are you tired of fighting against your fears? Has panic interrupted your life? Has anxiety stopped you from going after your dreams? Has it kept you out of close relationships? I encourage you to read my story and start your soul-searching journey now so you, too, can venture toward peace. 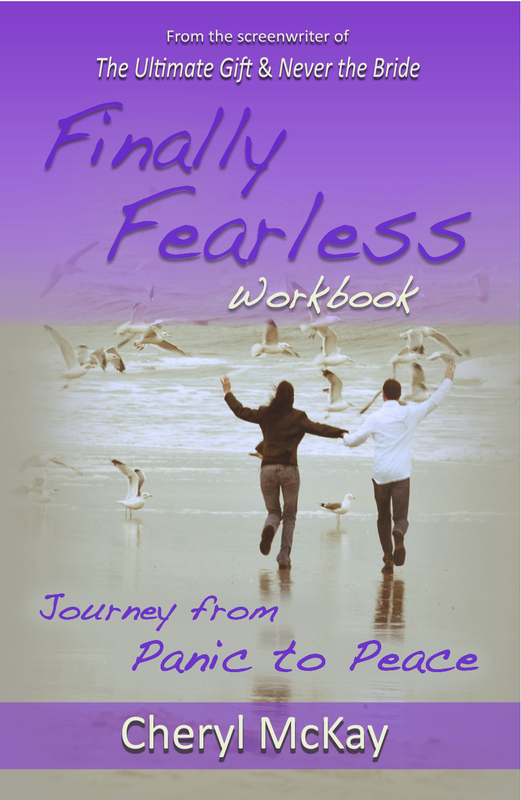 The Finally Fearless Workbook is meant to be used with the main text, Finally Fearless: Journey from Panic to Peace. It is a great tool for church groups, book clubs, or individuals who want to play an active role in their healing from fear and anxiety. I am not a medical doctor or a psychologist. I am a creative, intelligent woman. Yet panic and anxiety left me feeling completely out of control. I ached for God to show up and heal me instantly. Instead, He became my Wonderful Counselor, and He walked me through my fears, step by step, toward healing. Much of my personal recovery came through healing exercises I did, the same ones I’m now sharing with you in this companion workbook. The work you will do here is a reflection of God’s relentless help in healing and encouraging me through these most vital exercises, creative assignments, journaling, reflection, and meditation on key scriptures. This workbook also contains bonus material not found in the original book, including extra journal entries, assignments, poetry, and helpful collections of Bible verses grouped by topics such as peace, hope, God’s faithfulness, fear, and trust. Are you tired of fighting against your fears? Has panic interrupted your life? Has anxiety stopped you from going after your dreams? Start your soul-searching journey now so you, too, can venture toward peace. The Finally Fearless Workbook includes a collection of peaceful, original photography by Christopher Price.